Britain’s Tai Woffinden took a long stride towards a second world speedway championship by finishing third in tonight’s Grand Prix in Gorzow, Poland. The 25-year-old took a podium position thanks to third place in the final, but a faultless display in his five qualifying heats meant he left the GP with more points than any of his rivals. Combine that with a tough night for his nearest rival, Nicki Pedersen, and Woffinden ended the night with a 24-point lead at the top of the standings. With four rounds remaining in the championship, Woffinden is effectively a Grand Prix ahead of the competition. Pedersen looked down on power, but was set to make the semi-finals when he crashed heavily in his final ride. The veteran Dane was collected by Aussie Jason Doyle on lap one and fell into the path of Matej Zagar. Both Pedersen and Zagar speared into the air fence awkwardly and at high speed. After walking back to the pits, Pedersen was too dazed to take his place in the restaged race and his night came to a premature end. Zagar also got to his feet and was able to win the restaging before going on to win the meeting by passing world champion Greg Hancock to taste victory in the final. The meeting was both hugely entertaining and highly emotional as the speedway fraternity rallied around injured racer Darcy Ward. Australian Ward suffered serious spinal injuries while racing for his Polish League club last Sunday and was left with no feeling in the lower half of his body. Reigning world champion Hancock wore a replica of Ward’s race suit and several racers wore stickers with the Twitter hashtag #staystrongdarcy. 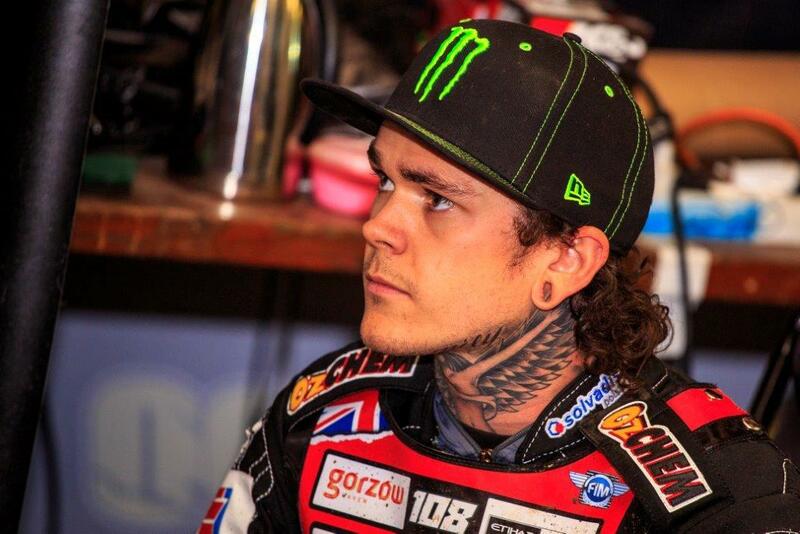 Woffinden said before the meeting that he would dedicate every point he scored to Ward. In a TV interview before his semi-final race, Woffinden inadvertently swore when speaking about his injured friend’s plight. When interviewer Steve Brandon acknowledged his ‘industrial language’ by way of apology to viewers, Woffinden dipped towards the microphone again and proclaimed ‘f**k it, I love Darcy’. Hancock was visibly moved when speaking about Ward during another TV interview and 2012 world champ Chris Holder had to break off an interview at the end of the meeting as he struggled to fight back tears. Holder is one of Ward’s closest friends and has spent much of this week at his bedside in hospital in Poland. Doctors have not disclosed the full extent of Ward’s injuries due to patient confidentiality, but the reaction of his fellow racers shows he faces a very serious situation. Ward watched the meeting on TV from his hospital bed and was active on Twitter for the first time since his accident. He posted a picture of himself with his friends, thanking his fellow riders for their support. The injured Pedersen also took to Twitter after the meeting to say scans on his neck showed no damage, but that was feeling very sore. The next round of the championship is at Krsko in Slovenia on September 12. Speedway comes to MCN Festival!